The PS4 is an enormously popular gaming platform, and it’s easy to see why. With great graphics, thrilling games, and and impressive gameplay, it’s a superior gaming option no matter what your experience level. And if you’re big into gaming, you simply need a PS4 headset to maximize your fun and involvement. The question is, with so many options on the market, how do you choose the right PS4 headset for you? Well, we can help! We talked to all different sorts of gamers, and have come back with everything you need to look for when purchasing PS4 headsets. Nobody has time to be tangled up in crazy cords, particularly when they’re trying to beat their old high score. Look for a PS4 headset that’s wireless; it gives you greater range of motion and comfort, without sacrificing sound quality or connectivity. People are only impressed by headsets with cords if they’re looking for a more retro gaming experience, but most people prefer the comfort and convenience of wireless options. . Odds are, you’ll be wearing your PS4 headset for extended periods of time, which is why it’s essential to find ones that are powerful as well as comfortable. Luckily, you can have both at once; many models now go to great lengths to ensure players feel great while wearing their PS4 headsets. Our pick has to be the Turtle Beach headsets, which come with a patented ProSpecs® Glasses Relief System, which maximizes comfort for gamers who wear glasses. The softer foam sections help lighten the pressure on your face, allowing you to play for hours on end without experiencing a second of discomfort. Aside from comfort, clarity of sound is probably the most important aspect of any PS4 headset. Surround sound is a great option, and provides players with an immersive experience that will leave them lost in their favorite game. And make sure the speakers are up to your standards as well, providing not only solid volume but also clear and crisp sound. Some brands even offer more advanced hearing options, allowing you to pick up on every sound and move your opponents make. For serious gamers, this could mean the difference between a stunning victory or a crushing defeat. There are few moments more intense in the life of a gamer than when their wireless headset suddenly turns off in the final moments of an epic battle. You can avoid this fate, however, by ensuring your PS4 headsets have battery life capable of withstanding your most intense gaming sessions. Many models come with onboard rechargeable batteries, which is a fast and easy way to get your headset ready for action quickly and easily. 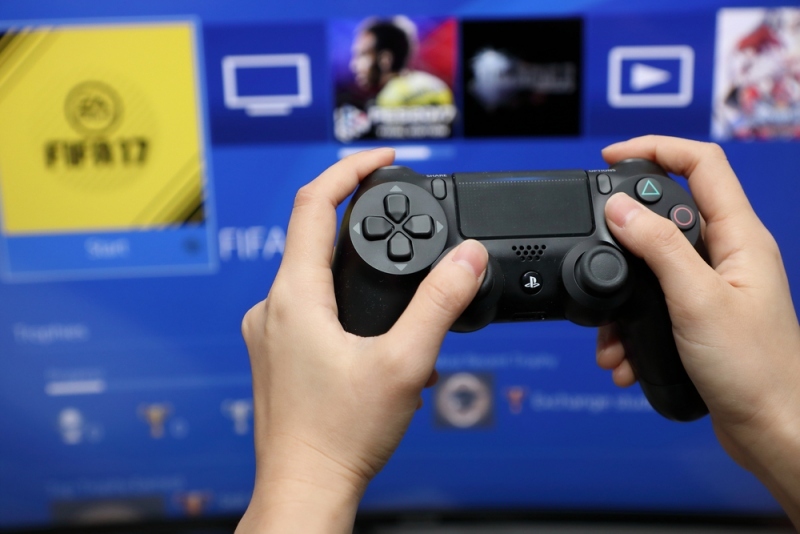 And be sure that your PS4 headset has the power to last for even your lengthiest gaming session — some models can go as long as 15 hours, providing you with maximum playing time. You want a PS4 headset that makes sure you’re heard loud and clear by other players, so be sure to find a model that comes with a reliable mic. Check for sensitivity and ease of use; flip-up mics are a great option, particularly since you can move them out of the way when not in use. You (and your fellow gamers) will love variable mic monitoring, which lets you hear your own voice in the headset, and adjust it accordingly. This helps keep you from accidentally shouting at other players, and lets you maintain the best volume so everyone can hear your every word and command. And make sure to find a mic with an easy-to-access mute button, so you can order pizza without interrupting a moment of the gaming action. Some mics come with automatic mute features, so be sure to check them out and find the one that’s right for you.